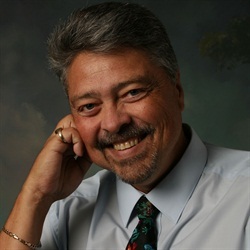 Jim Schalberg will be offering the RCP certification program at the Auto Rental Summit. Developed by the Center for International Retail Automotive Standards (CIRAS), the Rental Car Professional (RCP) certification program will be offered at this year’s Auto Rental Summit on Monday Nov. 10 from 9 a.m. to noon at the Seminole Hard Rock Hotel & Casino in Hollywood, Fla. The RCP certification program is available to everyone — from newcomers to the car rental business to seasoned pros with years of experience. With a RCP certificate, rental operators could receive a reduced insurance rate or a discount when applying for a loan. The RCP certification program aims to equip car rental employees with the proper knowledge to run a profitable car rental company. Presented by Jim Schalberg, principal of Jim Schalberg Auto Rental Training, the three-hour course covers topics such as the value of a rental day, customer service procedures, collision damage waivers, specialty rentals, incremental sales and marketing. For more information on the RCP certification program, contact Jim Schalberg at rcpro@schalberg.com. or call (800) 396-9128. Click here to register for this year's Auto Rental Summit and sign up for the RCP certification program.